As an ambassador for Christ, how can you be clear-thinking and confident if you’re not sure whether or not you’re misinterpreting a Bible passage? Here’s a quick example of how this works to help you get the idea. Getting an accurate understanding of Scripture is critical for your growth as a Christian ambassador. 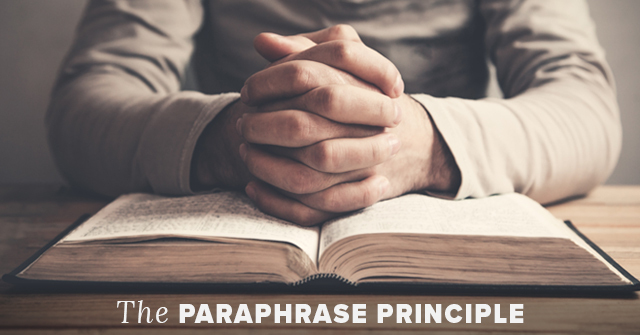 The paraphrase principle is simply another tool in your toolbox to help you do that more effectively.